Many children suffer in silence. Too often, they carry the burden of mental health issues and feel they have no one to turn to. They may feel hopeless, helpless and alone. Unlike adults, kids don’t always know when it’s time to ask for help. Some might feel embarrassed or ashamed by a mental health problem. 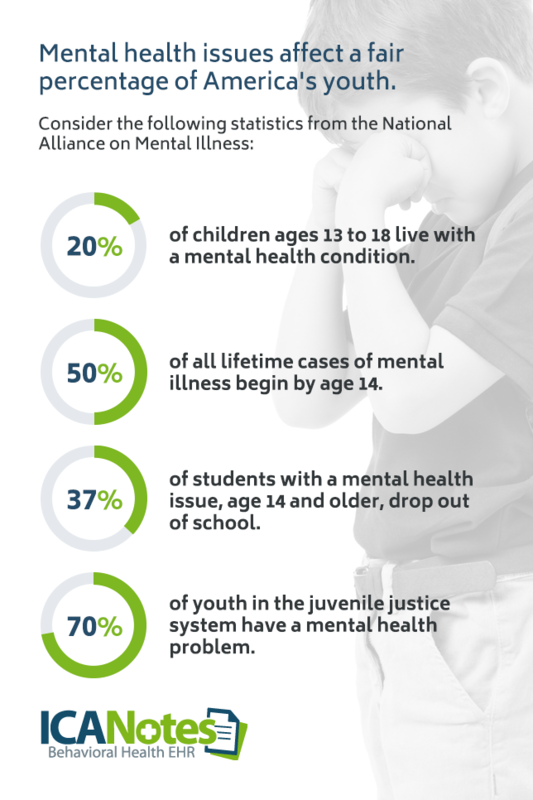 Twenty percent of children ages 13 to 18 live with a mental health condition. Fifty percent of all lifetime cases of mental illness begin by age 14. Thirty-seven percent of students with a mental health issue, age 14 and older, drop out of school. Seventy percent of youth in the juvenile justice system have a mental health problem. Children spend most of their time in school. For many children, teachers and school counselors are the only professionals they have access to throughout the day. School mental health professionals are essential to help students cope with mental health issues in healthy and productive ways. However, there are not enough school counselors and psychologists to meet the demand. School counselors are trained to make a difference in students’ lives. They help provide support for individuals and families in need, work to prevent school violence, are involved in career planning and much more. The American School Counselor Association recommends a 250-to-1 ratio of students to school counselors, but the national average is closer to 500-to-1. Similarly, school psychologists play a critical role in crisis intervention and addressing mental health issues. However, there is only one school psychologist for every 1,400 students, according to the most recent data. In May, lawmakers introduced a bill to provide school counselor training funding in areas that need it most. If this bill becomes a law, it will encourage mental health professionals to fill vital roles in school districts throughout the country. 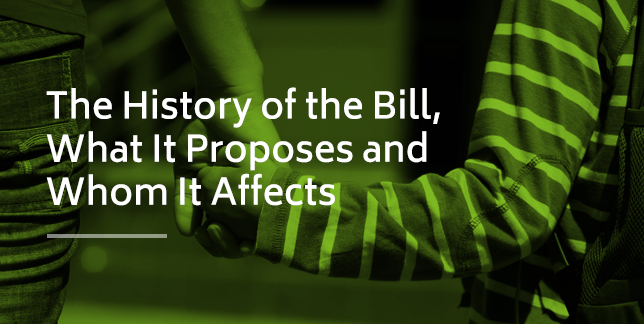 In this post, we’ll explore the reasons this bill is crucial, and the impact it can have on children and their communities. The bill, which Sen. Bill Nelson introduced on May 23, 2018, is called the “Increasing Access to Mental Health in Schools Act,” and aims to fund school counselor training for mental health workers. The bill proposes to “increase the recruitment and retention of school-based mental health services providers by low-income local educational agencies.” To accomplish this goal, the bill proposes providing $10 million to the Department of Education to fund training for school counselors, social workers, psychologists and other mental health professionals, with the aim of reducing employment shortages in low-income public schools. Nelson created this bill in response to school shootings and school counselor shortages in low-income school districts. On his site, Nelson refers to the recent school shootings in Texas and Florida, as well as a report that states Florida only has one school psychologist for every 1,983 students. The lack of access to mental health services is one of the reasons so many students in Florida do not receive the care they need. The legislation would require the Department of Education to conduct a study to determine the parts of the country with a shortage in mental health professionals. The bill would provide federal education grants to colleges and universities to fund school counselor training in areas that need it most. The bill would provide loan forgiveness programs to mental health professionals who work in a low-income school district for at least five years to encourage mental health professionals to work in these districts. If passed, the bill would impact the lives of many Americans, including the following. Students: With greater access to counselors and mental health professionals, students can reach out for help and counselors can intervene when necessary. School counselors can build a bridge between students, their families and other professionals to provide the support kids need and deserve. 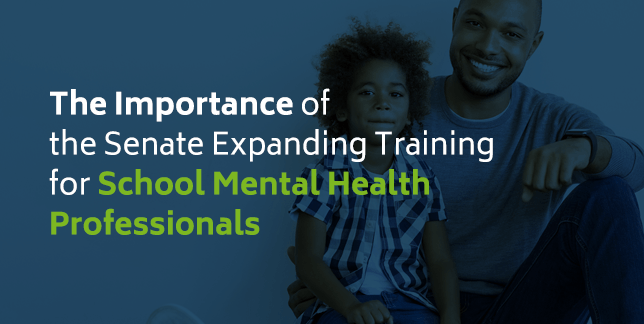 Mental health professionals: The bill will encourage counselors, social workers, psychologists and other mental health professionals interested in furthering their careers in school psychology to do so in low-income communities. As a result, they will fill rewarding positions where they can put their skills to the best use. With the educational funding the bill provides, mental health professionals will also experience less of a financial burden. Parents: Parents may not always realize their child is struggling with mental health issues and might assume they are just going through a phase. School mental health workers can alert parents to problems. Parents can then provide support for their child and build a deeper bond. Communities: Children are the future of every community. If their mental health struggles go unaddressed early in life, children are more likely to carry issues with them into adulthood. However, if children can get their mental health problems under control while they’re still young, they are more likely to stay in school, accomplish goals and contribute to their community. Both children and young adults need mental health care. Adolescence, in particular, is a critical period for developing mental, social and emotional well-being. However, adolescents are also prone to depression and engaging in risky behaviors. 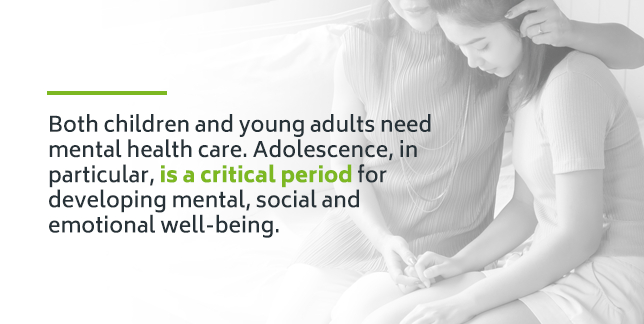 The majority of mental health issues begin in adolescence, yet 70 percent of adolescents with mental health needs do not receive care. Fortunately, because their brains are still developing, adolescents are also typically receptive to mental health treatment such as behavioral modeling. If the bill gets passed, mental health professionals will have access to affordable training in low-income areas so they can help adolescents develop healthily. That, in turn, would have numerous positive impacts on children, their families and the community as a whole. Below are just a few ways greater access to school mental health services would make a positive impact. School is supposed to be a safe, nurturing environment for children. However, school violence has increased 19 percent in the 21st century. It’s understandable if parents feel terrified to send their children to school. However, school mental health services can help identify at-risk children and intervene before it’s too late. Not all school violence, especially gun violence, is due to mental illness. If a child has a mental health issue, it does not mean they are going to commit a homicide. Many different factors contribute to school violence. A lot of stigma surrounds mental health issues nonetheless, which could prevent individuals from getting help. Mental health issues impair a child’s ability to function. A child might struggle to learn, handle their emotions productively or make healthy behavioral choices. When a child can’t concentrate, they might become frustrated with schoolwork and feel discouraged. School might feel pointless to a child who feels depressed and hopeless. On average, dropouts make $10,386 less than high school graduates, and $36,424 than someone with a bachelor’s degree, if they can find a job. In 2012, the national unemployment rate was 12 percent for high school dropouts, and 4.1 percent for those with a college degree. Dropouts are more than twice as likely to live in poverty as college graduates. If schools have more counselors and psychologists on hand to address mental health problems before they keep students from graduating, dropout rates can go down. Counselors can also get parents involved who can impact their child’s academic success. Students can then graduate and seek employment or further their education to build a better future for themselves, their families and their communities. According to the National Institute on Drug Abuse, individuals with a substance abuse disorder are likely to start abusing drugs and alcohol in adolescence and young adulthood. Many factors contribute to drug use among youth, and one of them is mental health problems such as depression, anxiety and ADHD. The adolescent brain is not fully developed — particularly the prefrontal cortex, or the part of the brain responsible for controlling emotions, impulses and making healthy decisions. Depressed or anxious youth might turn to drugs to self-medicate and find relief from mental health issues. Adolescents are less likely than adults to seek help when they need it because they may not recognize their behavioral patterns as being problematic. Only a small percentage of youth who need help receive treatment for substance abuse. Children need adults, like mental health professionals, to step in and guide them out of the substance abuse trap as soon as possible. School counselors who have received training in identifying the signs and symptoms of substance abuse among students can reach out to those who need help or communicate the issue with family members. School counselors play a vital role in supporting individuals through treatment and addressing the underlying cause of substance abuse before it takes over the child’s life and leads to problems with school, work, family and relationships. Just as with violence, not every child with a mental health disorder is going to commit a crime. However, the majority of children in the juvenile justice system have a mental health condition. School counselors can intervene when necessary to address mental health issues and teach coping skills so kids can learn healthy ways to manage difficult emotions, build positive relationships and think about the consequences of their actions before they make a mistake. Several risk factors contribute to juvenile delinquency, and one of them is mental health disorders. Conduct disorder and attention and hyperactivity disorders may be related to antisocial and aggressive behaviors. Major depressive disorder, particularly in girls, often links with antisocial behaviors and conduct disorder. There is also a strong correlation between crime, neighborhood poverty levels and dangerous environments. Counselors provide essential support and guidance for children who may otherwise lack positive role models. They help students develop healthy attitudes and decrease aggressive behaviors. The risks increase when a child has access to firearms and is facing situational stress. Counselors can take preventive measures in several ways. First, they can teach students, peers, parents and staff the warning signs of suicidal behavior and recommend what steps to take. Next, counselors can intervene to provide care for students who expressed suicidal thoughts or engaged in suicidal behavior. Lastly, counselors can follow up with students and continue to provide support. Counselors are often the first professional students with suicidal thoughts have access to, so it’s vital more of them are available in schools around the country. Adolescence is one of the most difficult and critical periods of an individual’s life. When an adolescent is struggling with a mental health issue, they shouldn’t have to keep it to themselves and make mistakes they’ll later regret. Every child deserves access to mental health care. Nelson’s bill brings hope to kids and families who need mental health care where children spend a significant portion of their time — at school. If you work in the behavioral health field, you can make a difference today. 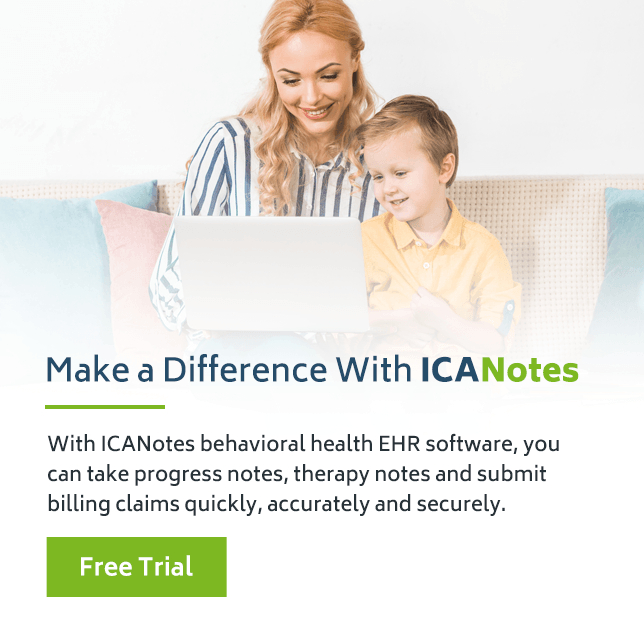 With ICANotes behavioral health EHR software, you can take progress notes, therapy notes and submit billing claims quickly, accurately and securely. As a result, you’ll have more time to give your clients care and attention. To get started, sign up for your free trial today.